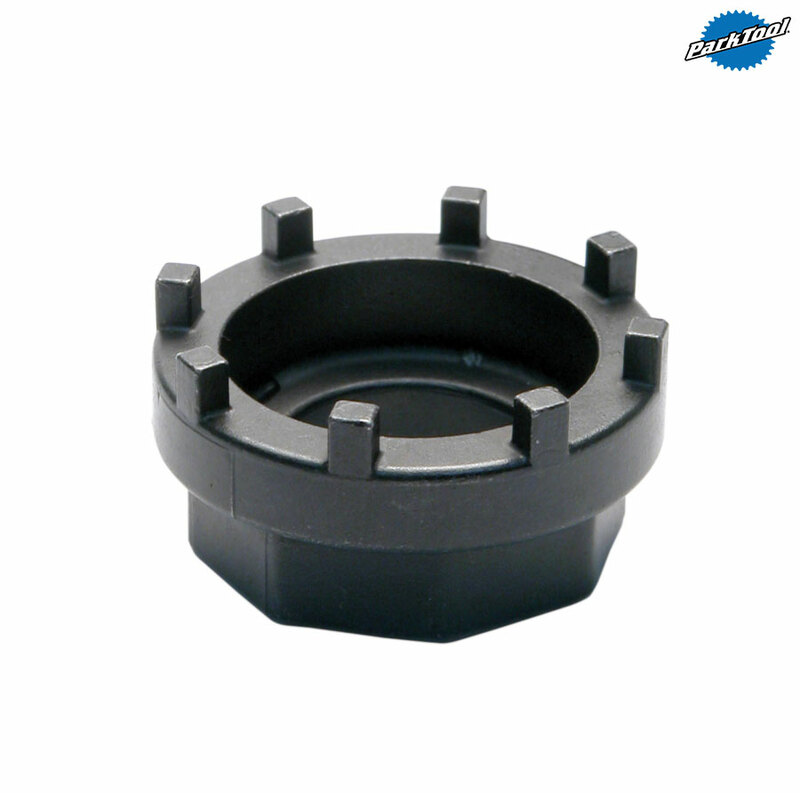 - A heavy duty, investment cast tool for installing and removing all Shimano and ISIS Drive eight-notch bottom bracket cups. - Includes 36mm wrench flats. - The BBT-18 replaces the previous model BBT-8. If you want to torque your BB to specified value, there are only 36 mm flats on this tool and they are arranged in an octagon, so you cannot use a regular (hexagon) 36 mm. socket wrench... Alternatives: The Icetoolz 8 notch bottom bracket tool seems to fit a regular 32 mm socket. Also, Truvativ makes one with a 1/2 inch drive.